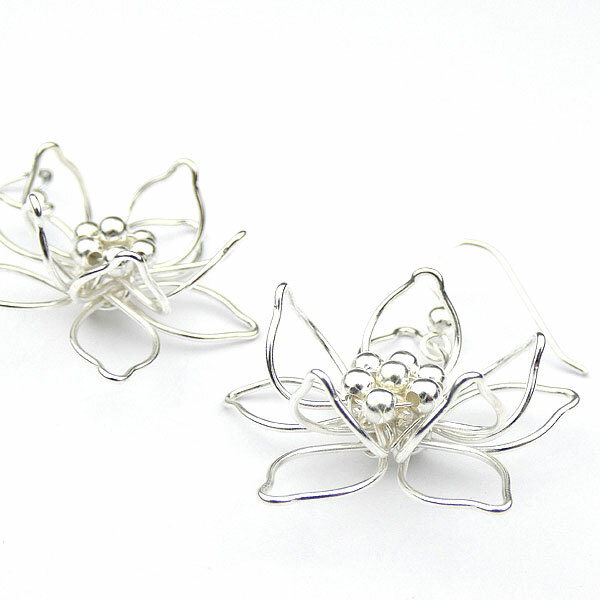 Unusual large flower earrings composed of sterling silver wire formed into a 10 pear drop shaped 'petals'. The outer 5 petals are flat, while the upper 5 curve upwards to surround a central group of 7 tiny ball 'stamens' at the centre of the flower. 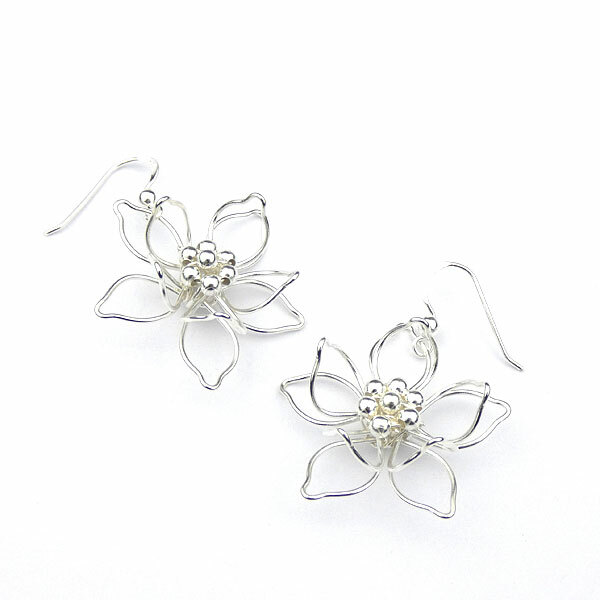 The earrings are suspended by an ear hook at the top of one of the outer petals. The earrings is plated with pure silver.